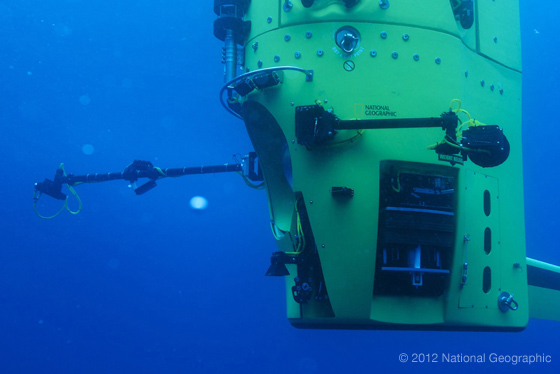 On March 26, 2012, Filmmaker and Explorer James Cameron made the first ever solo dive to the Challenger Deep, the deepest point in the ocean. Located in the Mariana Trench at a depth of 35,756 feet, this remotest of places had only been reached once before in a manned descent - in 1960 - by the US Navy's two-man submersible The Trieste. Although the dive itself is what garnered worldwide attention, the even greater achievement was the design and creation of the Deepsea Challenger submersible, a radically different type of manned sub designed and built by Cameron and his handpicked team. 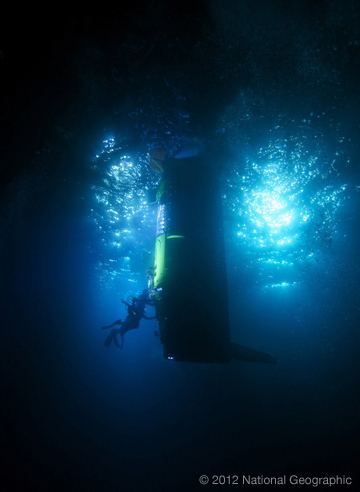 Unlike any previous submersible, the Deepsea Challenger is a vertically oriented vehicle designed to descend and ascend at great rates. In addition, the technologically advanced sub carries an unprecedented level of lighting and imaging capability. Cameron wanted to bring back imagery that would transport and immerse viewers into the deep-sea world like never before. 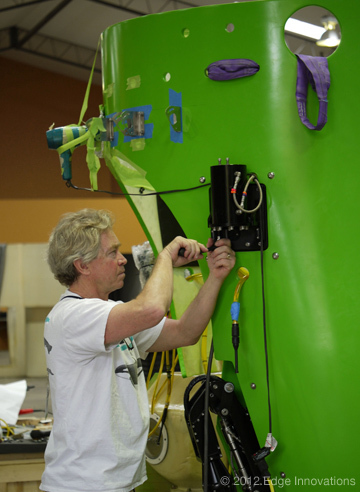 Cameron enlisted Edge Innovations to take on the design and creation of the Lower Pod section of the submersible. Comprising the lower third of the sub, the Lower Pod is an integrated system of mechanical, electrical, hydraulic, and software elements that together provide some of the submersible's most important functionality, including the life-critical ballast system. 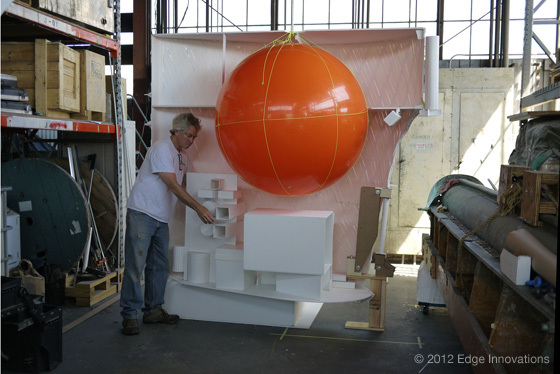 With only an outer shape as a starting point, the Edge team worked closely with Cameron to define the Lower Pod functionality and architecture. 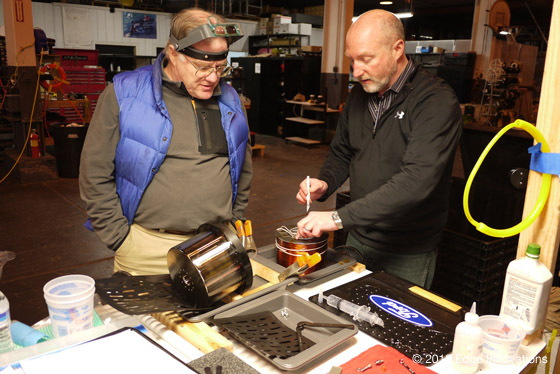 From there, Edge relied on an iterative process of quick mockups, prototyping, and testing, as well as CAD work, to converge on a final design for the numerous systems. In the end, the Edge team created the entire Lower Pod, from project start to first sea trials, in an amazingly short time of 7 months. One of the big challenges, especially under such a short timeframe, was that there are no commercially available components that are rated to operate at full-ocean-depth pressures. Everything had to be engineered from scratch or adapted to operate at that depth, and then tested in pressure tanks to 16,500psi. 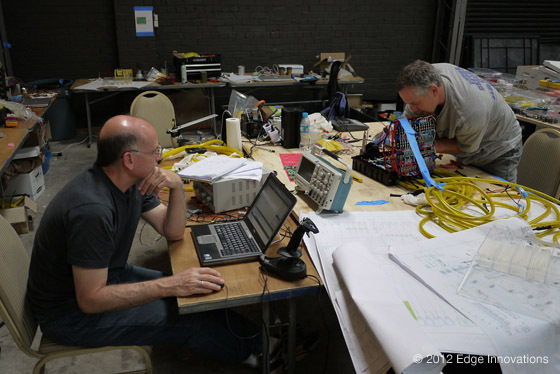 The Edge team designed custom, pressure balanced, oil-filled electronics that could operate reliably at the required 16,500psi. Working with Cameron, Edge also designed what are the brightest full-ocean-depth lights in existence, utilizing the latest LED technology. 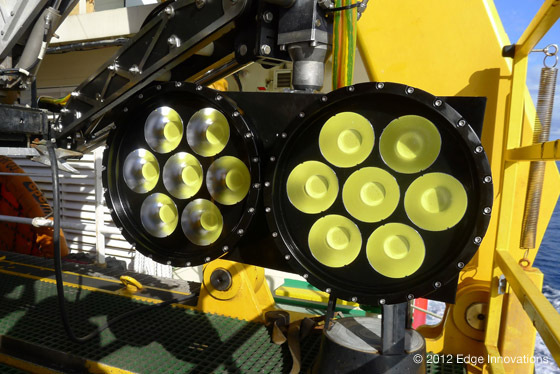 These lights, along with the Lower Pod's articulated camera booms, allowed Cameron to bring back unprecedented deep-sea imagery. 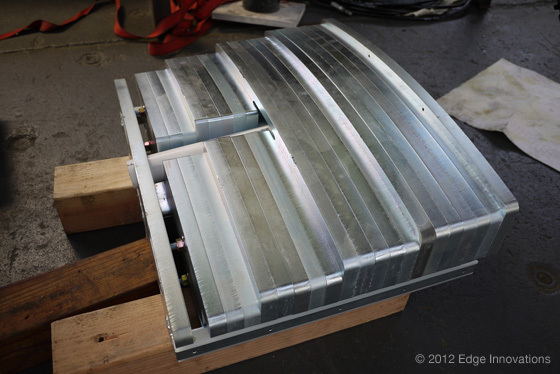 By far the most critical system the Edge team developed was the weight release system. If this system failed, Cameron would have no means to return to the surface. It had to have absolute reliability. His life depended on it. 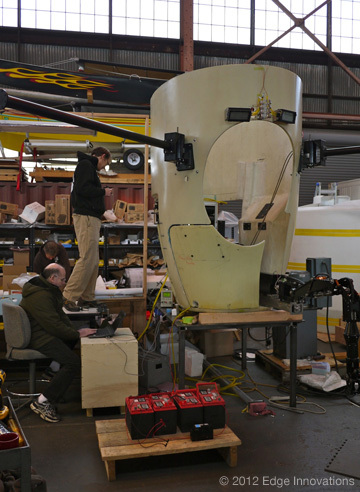 After completing the assembly of the Lower Pod in California, the Edge crew traveled to Australia to oversee integration with the rest of the sub. 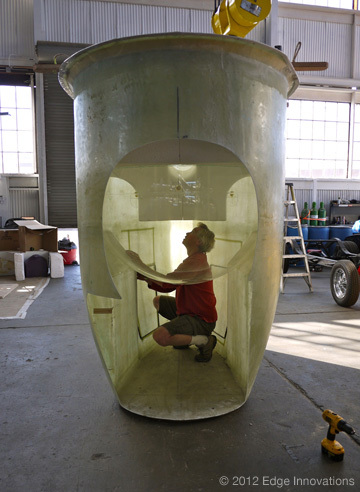 The upper section of the submersible, including the man-sphere, had been designed and assembled by an Australian team under Cameron's direction. Working closely with the Australians over an intensive 4-week period, the Lower Pod's numerous systems were integrated with the rest of the sub, then tested and tuned. On January 25th, under the cover of night, the completed submersible was lowered into the water for the first time in Sydney Harbor. As the team applauded, the vehicle performed exactly as planned. A huge accomplishment given its radically unique design. 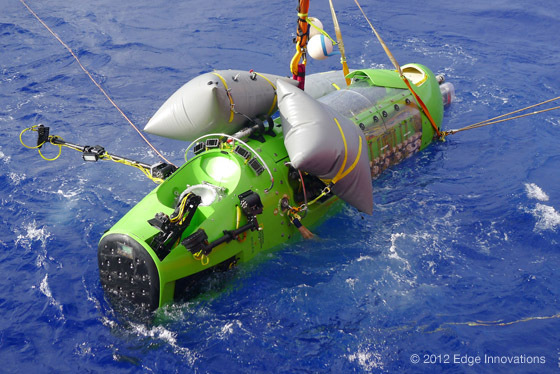 With this initial success behind them, the team loaded up the submersible, along with support equipment, onto the expedition ship the Mermaid Sapphire, and headed out to sea for a 2-month adventure. 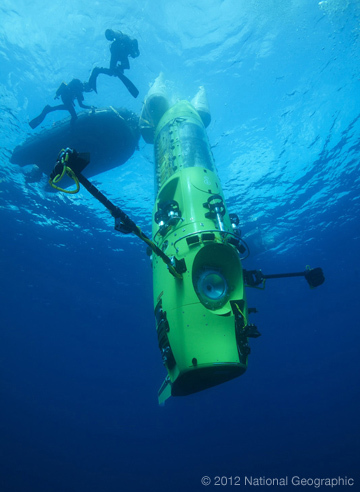 With Cameron at the helm, the submersible made a series of progressively deeper dives throughout Papua New Guinea and Micronesia, culminating in the historic dive in the Mariana Trench. Walt Conti and Ty Boyce represented the Edge team onboard the expedition. 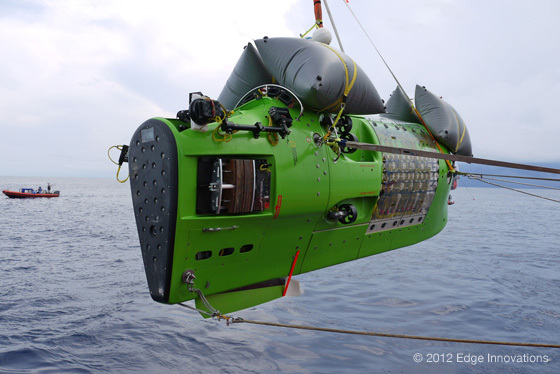 The story of Deepsea Challenger, including the historic expedition and dive, will be chronicled in a 3D theatrical film set for release in March 2013. The Deepsea Challenger is currently the only manned submersible in the world capable of reaching the deepest point on the planet. The development of the sub spurred the creation of numerous new and innovative deep-sea technologies. Edge Innovations is currently working with Cameron to commercialize some of these key technologies.